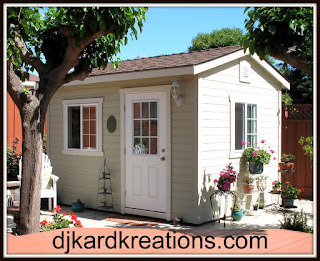 djkardkreations: Reminder ~ NBUS Challenge #5 Starts Tomorrow! Reminder ~ NBUS Challenge #5 Starts Tomorrow! It's the start of another fresh and fabulous week! Some of you are in the middle of your long weekend and I hope you are having a great one! No matter where you are, are you becited about tomorrow's NBUS Challenge #5? I know I am! I am publishing this post today so you have the important information which may answer any questions you have. This challenge is run just like other sketch, color, or theme challenges you may have played in. It is not a HOP, where you go from blog to blog. HOWEVER, I do encourage participants to visit and comment on the blogs of other NBUS participants and I certainly want you to visit the blogs/shops of all of my sponsors! Tomorrow's post will be the actual challenge with the Inlinkz button at the end where you can link your NBUS creations. 11:55 p.m. PST on September 18, 2015. If you would like to know the history of this challenge and see the four prior challenges and their galleries, please click HERE. You must use a NBUS item on your creation and indicate what it is. It doesn't matter if it is old or new, although that old virginal schtuff would really like some attention! The theme is "Anything Goes!" This challenge is a thank you to my followers, so to be eligible for a prize, please join via the blue "Join This Site" button on my side bar. Cut and paste the NBUS badge into your post or on your side bar and include a link back to the challenge post. Please enter only four other challenges in addition to this one, for a total of five. You may enter this challenge a total of three times. New work only please. Link up your creation using the Inlinkz button at the bottom of tomorrow's post in the usual way. If you don't have a blog and want to play or need any further information, please click HERE for further details and contact information. My prior four NBUS challenges only had prizes that I provided out-of-pocket to thank all my followers. But for NBUS Challenge #5, I'm thrilled to say that I have sponsors!!! Here is a sneak peak of the companies joining me in giving prizes to my participants!! You will have to come back tomorrow to see the actual prizes! I'm so very, very grateful for the support of these excellent companies that we all know and love! In addition, I will be awarding prizes as I have done in my prior challenges. I would like to take a minute to thank my friend Jeanne Jachna of A Kept Life! If it weren't for Jeanne, you wouldn't be seeing all these sponsors offering prizes for NBUS Challenge #5! Jeanne serves on the Design Teams for several companies. She offered to check with them about sponsoring and the ball started rolling from there. She is also a technical wizard so she prepared the above collage and helped me with the sponsor graphics and links! When you get a chance, I hope you will go and thank Jeanne, too! Bonus: she is a brilliant card artist! Oh, one more thing. I wanted to thank all of you for your kind comments and prayers for Kevin. It turns out that he does need surgery. His hamstring is hanging by a thread, so he will be sliced, diced, and stitched Tuesday afternoon. He will have to wear a soft hip cast/brace contraption for several weeks screwed at an angle so he will be unable to sit down. Nurse Nelly and Nurse Ratchet (that would be two of my other personalities) will be moving in to help out, depending on how much sass he gives me! I should be able to be on the computer and commenting while the poor guy is drugged resting, but if I don't get around to you as often, you'll understand why. Your continued prayers are much appreciated! Mwah! Great news about the challenge Darnell! Honestly, the things men will do to get you into a nurse's outfit! That aside I hope all goes smoothly for him and he'll soon be able to run around after you. I *hope* I will get chance to join in but I'm going to be away for all but one day of the challenge, so I'll have to throw something together tomorrow in between throwing things into a suitcase and swearing at them to grow smaller and fold themselves neatly. But I'll be meeting my new grandson (hence the amount of stuff I have to pack, it's all pressies) so I have lots to look forward to! Wishing the Mister the very best of luck with his surgery and subsequent speedy recovery aided by Nurse Nelly and Nurse Ratchet! I look forward to those medical reports! So sorry to hear about the mister, though the thought of you in a nurse's outfit did make me chuckle out loud. Can't wait for the challenge as I have heaps of new unused schtuff just waiting for my mojo to get back from holidays or wherever he's been hiding. Lots of love and best wishes to the Mister ..... hope everything goes well with the surgery. Looking forward to the NBUS challenge ..... the list of sponsors is amazing!! Wishing you every success with your next NBUS challenge Darnell . . . and MANY congrats on getting sponsorship. Sending good wishes to you and the Mister for a happy outcome from the op. What an amazing array of sponsors, Darnell! It doesn't surprise me that they want to support your NBUS Challenge - it's VERY popular and VERY fun! These are wonderful news - I'm looking forward to the upcoming Challenge !!! and great sponsors --- that will once again an exciting time! First off, I hope your Mister gets better really soon and doesn't drive you completely batty in the meantime! :-). I am very "becited" for your NBUS challenge. It's always fun and it gets my poor NBUS stamps some ink time. :-). Hugs! Dear Darnell, sorry mister has to be sliced and diced. Hoping all goes well and wishing him a speedy recovery. Glad you have that top dog nursing team on hand. Hope everything goes well for hubby!!!!! I am so sorry that hear about Kevin. Warning: his care will take more time than you think even for three personalities! We will be happy to see you when you are able to pop in. --amazing to have so many sponsors. Five years running is huge though. Thanking all the wonderful sponsors and Jeanne for helping. --need to go and dig out all my NBUS stuff..oh wait that is half the stuff in my craft roo. Just grab and go. So sorry about the Mister - but glad they can 'fix' him! that will be some nursing assignment!! Hope you both survive it all!! I'm so sorry to hear Mister has to have surgery. I will send prayers for you both and hope all goes well. Oh my, not able to sit down! That's going to be so hard for him. You are sure going to have your hands full even with two extra nurses! Maybe Hammy can help with NBUS. He has such a discerning eye and will be glad to pop in and give you a paw. I'm looking forward to NBUS and have been going through my "stuff". It's a good thing to do every once in a while because I find things I had forgotten about. Oh no, surgery? I'm sure your Mister will be in very good hands with Nurse Nellie and Nurse Ratchett but not to be able to sit at all for a few weeks!? I hope the doc knows the perfect angle to screw that cast on because we all have to sit at least once a day, kwim? Good thoughts being sent his way for a successful operation and recovery and also for your patience and stamina. Looking forward to the NBUS Challenge! You have always been so generous in the past challenges and look at you now with so many sponsors! I'm looking forward to seeing what NBUS will used by everyone to create their masterpieces. Thanks for this fun challenge. Sorry to hear your mister and you have to face surgery tomorrow. Wishing you both all the best, especially as you change your roll from crafter to care giver! Not an easy task! I know, because I am one! Looking forward to your returning NUBS. How great you were able to riund up some awesome sponsers. Look forward to see what others are creating these days. Hoping everything goes A Ok for your sweetie. You will make a fabulous nurse! Happy I could help. So much for being anonymous ..lol. embarassed. Big hugs and thanks to you Darnell!!! Sending thoughts and prayers for the mister (and you), Darnell. Good luck to your husband. I sure hope all goes very, very well for him. That sure is a lot of sponsors!!! Sounds like fun. Love a good challenge and this one with sponsors, nice work...Jeanne's a keeper, bless her heart. If the Mister gives you guff, you could tickle his feet, but that may be dangerous. Perhaps he'd like to miss a meal or two. No, that would be mean. Silent treatment alway worked for me, but you're too sweet for that. What ever you decide on, I'm sure it will be appropriate. I'll be thinking of you two tomorrow and through his recovery. Another NBUS challenge ....that is just wonderful, Darnell!!! And WOW for all the sponsors!!! Will have to go and dig into my boxes of stamps to find the NBUS ones!!! So sorry that the Mister is going to need an op, but I'm sure he will be fine in no time!!!! But his surely is in great hands with you being his Nurse!!!!! Thinking of you and wishing him well!!!! Praying your hubbies surgery goes smoothly tomorrow and that he is an easy patient. Hello Darnell, sorry to hear your hubby needs to go under the knife, lucky him he has you as his nurse!! I just hope he doesn't give you any.....what did you say????? Sass!! LOL!! Now, I'm so darn excited about this challenge, love it, love it. You can be sure I will be participating wholeheartedly. Thank you for letting us know, I will be checking it out tomorrow. Today is my 64th. Birthday, this is a great gift. Enjoy your blog just don't comment often. My sympathy and prayers for both nurse and patient through surgery and recovery! Really stunning both your news, Darnell!! My best wishes go to your hubby.... I'm sure that with the surgery everything will go well! I'm ready to post my card. Sending good thoughts and hugs to Kevin, and you. Oh I will be playing for sure, thank you, Darnell! What a fabulous list of sponsors! So sorry to hear about your Kevin and hope the surgery goes okay. So glad you waited for me to start making cards again after my little break, Darnell! (wink, wink) Let me tell you, my table is covered with NBIS because I sure didn't stop buying. ha ha Hope The Mister's op goes well. Mwah! Going to check my NBUS box! I've got plenty to choose from. Should I quit buying stuff? Nah! Prayers for Kevin (and for you). Thinking of you and praying for Kevin and for you. Be sure to take care of yourself, dear Darnell. We in blogland love you! Looking forward to using my NBUS...just got something on Saturday! Hugs! Congrats on all your sponsors - no surprise since your fan base is deservedly large! So sorry to hear about the Mister's mishap but I know your humor will get the both of you through - and I hope his humorous side will be the one NOT undergoing the operation! Feeling sorry about Kevin, Sending prayers and everything goes well. Great news, love to play with my NBUS...... great sponsors!Thanks for the fun challenge! I'm excited about the upcoming NBUS Challenge and will participate as soon as I get back from CA. I will keep Kevin in my prayers and hope all goes well. Take care! Sorry to hear The Mister is need of surgery. That sounds rather painful. I'm sure you will be able to handle the nursing of Kevin. Hopefully your nice personality will come through. Thoughts and prayers for his surgery tomorrow and a speedy recovery. Prayers for Kevin's successful surgery and very speedy recovery heading West right now, Darnell! Hey, beautiful lady! Just caught up on the news about Kevin. Am sending warm wishes and prayers of speedy recovery for him. Puts 'hammy' in a whole different light! He is so lucky to have you as his 'nurse'. Can't imagine anyone staying unwell around you for long. Take care of you too! As an aside, well done on your sponsor list! Wowsers!! Jeanne is a doll, I totally agree! Where would we be without these gorgeous souls? Anyway, good luck with your NBUS challenge. They are always SUPER fun!! Not sure if I am able to play this time given looming travel, but will certainly try! Mwah! Mwah! Hurrah!! How wonderful your blogging buddy helped get these incredible sponsors for your wonderful challenge, Darnell! Hugs & prayers for you & your hubby! Just holler if you need some nurse advice--usually I'm not Nurse Ratchet--haha! B) Oh no! That naughty hamstring! I'll be thinking of him and hoping for a speedy recovery! I will most definitely keep your Mister in my prayers Darnell. Hope all goes well and he has a speedy recovery! Well done on all the sponsors! Great effort Jeanne. Thank you Darnell for another challenge - it is a real incentive to use some NBUS. Hoping to play along. I am goi g away but know I have a few cards scheduled where I have used NBUS. Goodness poor hubby, sounds like he is in a lot of pain. I am glad he has op organised. Hope all goes well and thinking of you. So sorry to hear that Kevin does have to have the surgery. Will be good though to get it fixed all at once, although the 'no sitting' side effect would be so frustrating. I'm sure the nurse will have plenty of drugs and patience on hand...well, maybe more drugs than patience but as long as he is resting that's all that matters right??!! Thinking of your Mister today and hoping that the surgery goes well and the recovery will be quick! Wishing you lots of patience! Now I am off to climb NBUS Mountain but before I will visit Jeanne's blog! What a great list of sponsors! Continued prayers and love being sent your way - I hope things go well and that he heals soon!! Thank you for the NBUS challenge - YOU are a marvel and I am so excited about all the wonderful sponsors you got this time!!! Wow, super that you are organizing tjis again!! And what a lot of work to get all those super firms to join in; you make it a super party! Hope you will manage to visit/see all that all the super crafters will link to your NBUS-challenge!! Wish you luck, fun and thank you! Wishing your Mister a speedy recovery...for your sake as well as his!!! Before you know it, he'll be back on his bike, cruising the streets and enjoying the great outdoors! Getting all geared up to get busy on my NBUS card. Thing is that it is REALLY tough deciding which of the nine million unopened/unused items get to be featured in this fun game! Sorry to hear about the Mister's surgery. Prayers uplifted for him and for you as nurse. You have your hands full and your heart is always overflowing to us! So excited to see your sponsors and hope to play along! so happy to play along in the NBUS challenge - what a wonderful challenge! Hi Darnell. I wish your Mister a speedy recovery and will keep you in my thoughts and prayers. Welcome to a new NBUS with an impressive group of sponsors. As usual I'm way behind finding out what's going on in blogland. I'm so sorry that the Mister needs surgery but to not be able to sit down. I can't even imagine. My prayers continue for healing and comfort for him, and patience for both of you. I've been waiting for this challenge and now can't seem to find time to make a card. I still have time, though. Thanks for doing this and it's great that so many companies were willing to sponsor you. i am trying to catch up on blogs while visting my Dad...3 weeks worth will be impossible to get through if I don't. So, first healing wishes to your hubby, and continued good thoughts for comfort. Second, wow, how wonderful to have all those sponsors. You are a gifted and widely followed blogger and are a perfect platform for sponsorship. I bet you'll get lots of entries. I premade and posted cards for the time I will be out, so I'm not sure if I can link any of the ones I made that had nbus stuff. Hmmmm.